what to do with leftover hypertufa mix? stacked stones to me are fascinating. It's a human thing, only we stack stones. For me they say 'I was here' but all over the world they have different meanings. It is for meditation in Buddhism, since it takes patience. The Inuit call stacked stones inuksuit, you are on the right path or as a memorial for a beloved person. 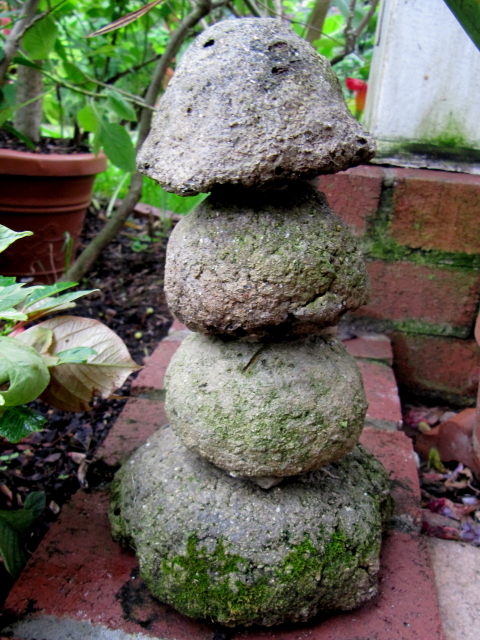 How neat to have that in your garden in a nice little meditation corner. Great idea! I love cairns. They're not something I see in New Orleans, but they're all over New Mexico and Colorado.